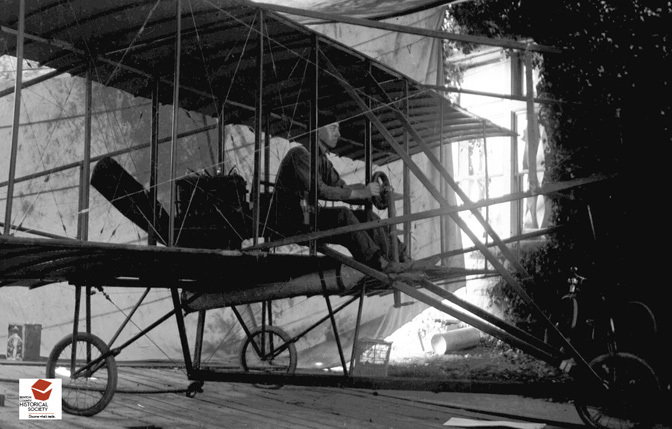 The successful flights of the Wright Brothers and of Glenn Curtiss in his June Bug prompted others to build planes of their own. In a canvas hangar south of Corvallis, local resident George Hess built is own biplane which incorporated many features of the Curtiss plane such as two ailerons and a propeller mounted on the engines crankshaft. According to Jerry Davis (in his Balloons to Blue Angels), there is no record that the plane ever flew, which he attributes to use of a heavy, low horsepower engine and a short propeller.